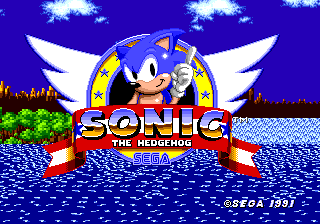 Sonic 1 Easy mode is port of Sonic 1's Easy mode from the Sega Saturn game Sonic Jam. Easy mode uses completely different level layouts. The level order is also different and some levels are omitted completely (but are still playable using level select). Spin Dash was not ported because the code and art in Sonic Jam uses non-Genesis code which was programmed specifically using the Saturn's CPUs. Final Zone is not the same as the Sonic Jam Easy Mode. In the Saturn version the boss only needs 3 hits to explode, there are fewer electric balls, and only one cruncher comes down. This page was last edited on 9 August 2018, at 11:37.